﻿ Holiday Carriages Accessible by Train in Cornwall. Historic Coaches Beautifully Restored. 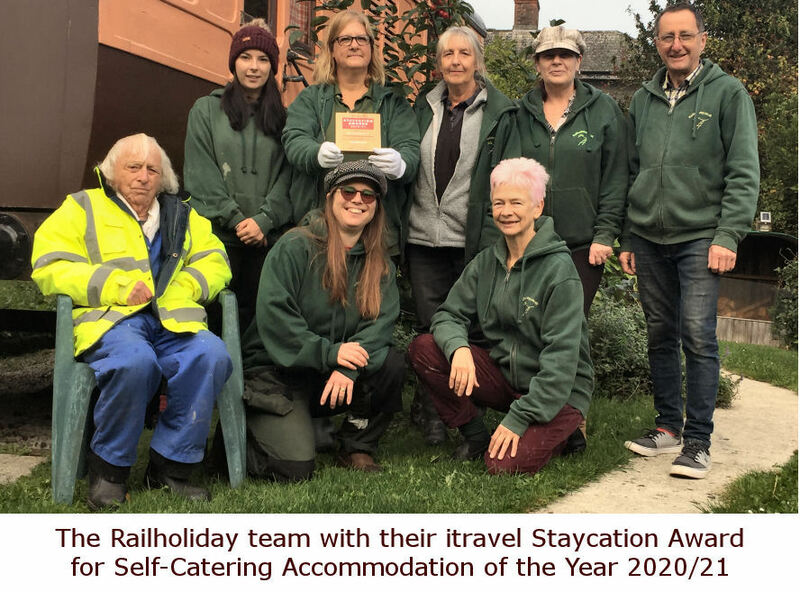 Railholiday have five beautifully restored and well appointed self catering railway carriage holiday homes at stations on the GWR main line in Cornwall. 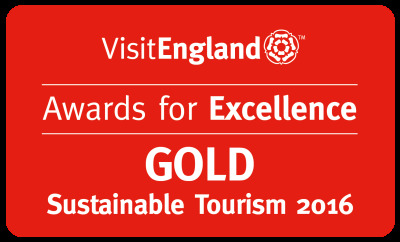 We have been offering our unusual award winning holiday accommodation and short breaks for over twenty years. 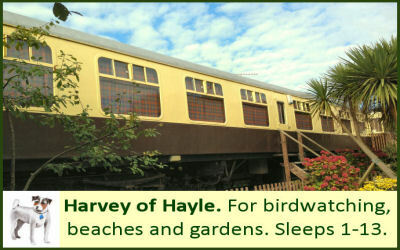 Our holiday carriages sit in their own landscaped gardens and are dog friendly (except Mevy). Catch the train to Cornwall for a sustainable holiday and get a £25 discount for being green, or take advantage of our free Electric Vehicle (EV) charging point. Book a carriage for Port Eliot Festival and there’s space in our enclosed parking area to bring a camper van. 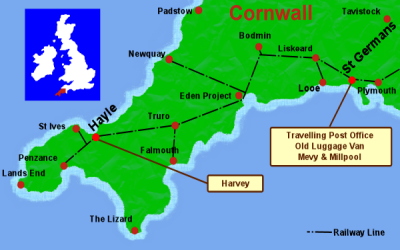 There are four carriages in the pretty village of St Germans, South East Cornwall and Harvey, in the West Cornwall coastal town of Hayle, near St Ives. 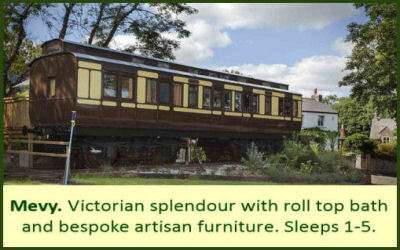 Please click on the railway carriage pictures below to find out about each one or go to our Carriages page for an overview. As a family company we strive to go further to make our holidays special and believe that our 48% rate of returning guests is an indication that we are heading in the right direction. We pride ourselves on our green ethos and offer an environmentally friendly holiday without compromising on quality or comfort. All our carriages have ample heating and so we are open all year and offer £25 off if you come by train, bus, bike or on foot. Please check out our reviews on Tripadvisor (we're rather proud of them!) and follow us on Facebook, Twitter, Pinterest, Google + or YouTube. For news of our latest offers and discounted last minute availability, please sign up to our mailing list. We only send the occasional email and you can easily unsubscribe at any time just by clicking the link at the bottom of the email. Why have just another holiday cottage in Cornwall when you could have a unique holiday with a difference? Love a lineside view? 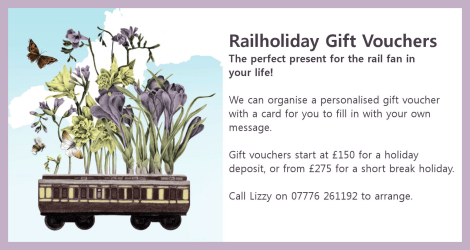 Looking for a holiday for the rail fanatic in your life? 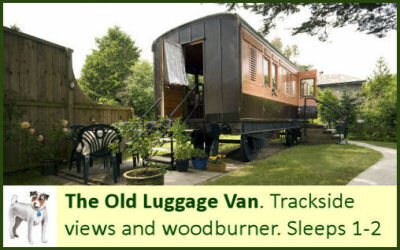 The Travelling Post Office and the Old Luggage Van both have excellent views over the Cornish mainline, and both have wood burners, making them perfect for a winter retreat holiday with a difference. Our carriages are all unique - they really are one off places. 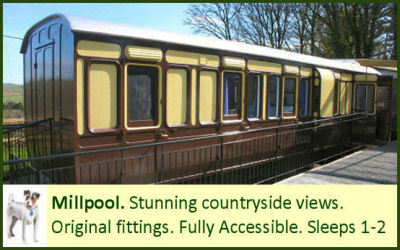 Both carriages are perfect places to stay in Cornwall with a dog and have a green holiday. 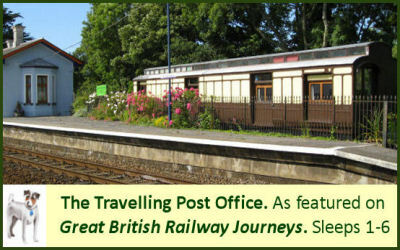 Take the train to cornwall and stay in a railway carriage! 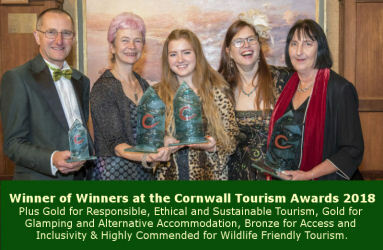 Then get a Cornwall Ranger rover ticket and enjoy a sustainable self catering short break in Cornwall by train. 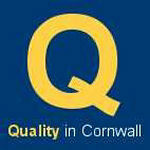 Railholiday - self catering Cornwall. The camping coach tradition updated.